"Beekeeping! 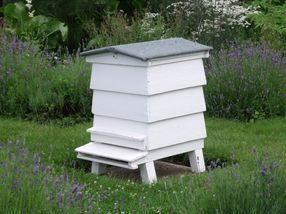 - A beginner's introduction to the wonderful world of bees, beehives, and bee culture!" SEBA is holding sessions during their monthly meetings covering the ins and outs of beginner beekeeping. Attendees will have access to veteran beekeepers to answer all of their questions, hands on experience with the equipment of the trade, and monthly demonstrations on how to make the most of their Bee-xperience! At the end of the course, new members will be eligible for winning a complete NEW HIVE (over $200 value!). Don't fret if you've missed a few classes, as veterans on hand will be glad to catch you up! Come join us, have some fun, and spread the BUZZ on the great things going on with the Southeastern Beekeepers Association on the second Thursday of every month at the West Virginia School of Osteopathic Medicine Alumnai Center at 7:00pm.